نجاتی, فائزه, حسینی, محمود, محمود‌زاده, امیر. (1396). مطالعه عددی و آزمایشگاهی میراگرهای تسلیمی و ایجاد حرکت الاکلنگی در سازه فولادی. پژوهشنامه حمل و نقل, 14(1), 170-183. فائزه نجاتی; محمود حسینی; امیر محمود‌زاده. "مطالعه عددی و آزمایشگاهی میراگرهای تسلیمی و ایجاد حرکت الاکلنگی در سازه فولادی". پژوهشنامه حمل و نقل, 14, 1, 1396, 170-183. نجاتی, فائزه, حسینی, محمود, محمود‌زاده, امیر. (1396). 'مطالعه عددی و آزمایشگاهی میراگرهای تسلیمی و ایجاد حرکت الاکلنگی در سازه فولادی', پژوهشنامه حمل و نقل, 14(1), pp. 170-183. نجاتی, فائزه, حسینی, محمود, محمود‌زاده, امیر. مطالعه عددی و آزمایشگاهی میراگرهای تسلیمی و ایجاد حرکت الاکلنگی در سازه فولادی. پژوهشنامه حمل و نقل, 1396; 14(1): 170-183. طراحی بر اساس اصل شکل‌پذیری آیین نامه‌ها باعث خواهد شد که ساختمان‌ها در هنگام زلزله‌های متوسط و قوی٬ دچار تغییرشکل‌های زیاد ‌گردند. لذا در کلان شهرهای واقع در حوزه نزدیک گسل­های لرزه خیز، وقوع زلزله شدید، منجر به آوارگی بهره برداران، مشکل و زمان بر بودن تخریب ساختمان­های آسیب دیده شکل پذیر، مشکل دفع مخروبه ها با حجم خیلی زیاد و لزوم صرف هزینه و زمان بسیار زیاد برای بازسازی می شود.راه حل های کنترل و جداسازی پایه می­توانند تا حد زیادی به حذف آسیب منجر شود ولی هر دو تکنولوژی برای کشورهای در حال توسعه گران و دست نیافتنی است. برای رسیدن به هدف تعمیر پذیر بودن پس از زلزله شدید ایده­های مختلفی می توان دنبال نمود. یکی از این ایده ها در سال های اخیر استفاده از ایده هدایت آسیب می­باشد.هدایت آسیب به این معنا است که رفتار ساختمان را به حالتی ببریم که تغییر شکل های خمیری به بخش هایی از سازه متمرکز شوند و در آن محل ها از جاذب های انرژی مناسب استفاده نمود که قابلیت تعویض داشته باشند. یکی از این رویکردها برای رسیدن به این هدف استفاده از حرکت See-Saw motion (حرکت الاکلنگی) است.برای بررسی عملکرد چنین سیستمی از ساختمان هایی با پلان 20 متر در 20 متر و ارتفاع طبقات 3 متر و تعداد طبقات 5 و 8 و 11 در نظر گرفته شد. در این پروژه سازه بر اساس تحلیل تاریخچه زمانی دینامیکی غیر خطی تحلیل شده و از هفت شتابنگاشت با سه مولفه واقعی آنها استفاده شده است. هدف مقایسه عملکرد لرزه ای سیستم های مختلف پیشنهادی می باشد. نتایج نشان میدهد استفاده از این سیستم سبب کاهش چشمگیر مفاصل خمیری ایجاد شده در سازه، کاهش تغییر مکان نسبی سازه و کاهش نیروی محوری در ستون­ها می­شود. Almost all of seismic design codes for building systems accept heavy damages to buildings, in case of large earthquakes, although they don’t accept the building’s collapse. Nevertheless, past earthquakes have shown that level of the accepted damage may be so high that demolishing and reconstruction of the building becomes inevitable. This, in turn, results in some unacceptable consequences in large populated cities, such as thousands of homeless and/or jobless people for a very long time, very time consuming, difficult, and costly demolishing and debris removal processes, and finally very massive, and therefore, costly and time consuming required reconstruction works. Regarding these facts, any idea which can lead to creation of repairable buildings is greatly acknowledgeable. One such idea is ‘Directed-Damage Design’ (DDD) idea, which means guiding the damage to some pre-decided parts of the structural system, so that other parts do not experience any major plastic deformation, and therefore, making the building easily repairable only by replacing the damaged elements. Design of repairable buildings, have been paid great attention by some researchers in recent decade. Use of rocking mechanism of the building’s structure (Azuhata et al. 2004) and employing telescopic columns in buildings with rocking/seesaw motion (Hosseini and Noroozinejad Farsangi 2012, Hosseini and Alavi 2014) are some samples of these researches. In previous researches, yielding base plates, yielding bolts, conventional and adaptive viscous dampers, friction dampers and some other devices have been used for energy dissipation. To use the DDD idea for creation of repairable steel buildings with square plan, in this study, a structural system having the capability of seesaw motion with respect to a central massive support has been considered in which the bottom ends of the all circumferential columns at the lowest story have been equipped with Double-ADAS (DADAS) dampers, which dissipate a great portion of the seismic input energy. The hysteretic behavior of DADAS dampers has been investigated by using finite element analysis. Seesaw motion of the structural system can make it possible to concentrate the damages in DADAS dampers at the base level of the building. At first a set of regular steel multistory buildings with 5, 8, 11 and 14 stories have been designed based on the conventional code provisions. Then, the structures of the designed buildings have been changed into the structure with seesaw motion by using, at the base level of the building, a massive central column, eliminating other middle columns, and equipping circumferential columns with DADAS dampers. To show the efficiency of the proposed structural system and dampers, a series of nonlinear time history analysis (NLTHA) have been performed by using a set of 3-component accelerograms of some selected earthquakes. Numerical results of NLTHA show that the proposed seesaw structures can efficiently decrease the seismic damage in the building, so that plastic deformation happens only in DADAS energy dissipaters, and the main structural elements remain basically elastic, and therefore, the buildings designed and constructed by the proposed technique can be easily repaired even after major earthquakes. - Hosseini M and Alyasin S (1996), Deliberate Directing of Damage in Lifeline Systems Subjected to Earthquakes, Proceedings of the Hazard-96 Symposium, Toronto, Canada. - Hosseini M, Ebrahimi H (2015), Proposing a Yielding-Plate Energy Dissipating Connection for Circumferential Columns of Steel Rocking Buildings and Investigating its Proper Properties by Nonlinear Finite Element Analyses. 11th International Workshop on Advanced Smart Materials and Smart Structures Technology August 1-2, University of Illinois, Urbana-Champaign, United States. - Fintel M and Ghosh SK (1981), the Structural Fuse: An Inelastic Approach to Earthquake-Resistant Design of Buildings, Civil Engineering - ASCE, Vol. 51, No. 1, pp. 48-51. - Vargas R and Bruneau M (2006), Seismic Design of Multi-Story Buildings with Metallic Structural Fuses, Proceedings of the 8th U.S. National Conference on Earthquake Engineering (Paper N. 280), San Francisco, California, USA, pp.18-22. - Azuhata T, Midorikawa M and Ishihara T (2004), Earthquake Damage Reduction of Buildings by Self-Centering Systems Using Rocking Mechanism, Proceedings of the 14th World Conference on Earthquake Engineering, Beijing, China. - Hosseini M and Noroozinejad Farsangi E (2012), Seismic Behavior and Performance of Telescopic Columns as a New Base Isolation System for Vibration Control of Multi-Story Buildings, International Journal of Earthquakes and Structures, Vol. 3, and No. 3. - Hosseini M and Bozorgzadeh S (2013): Investigating Double-ADAS Device Behavior andComparison with ADAS Device, Proceedings of the International Conference on Earthquake Engineering (SE-50EEE), Skopje, Macedonia. - Hosseini M and Alavi S (2014), A kind of repairable steel buildings for seismic regions based on buildings’ rocking motion and energy dissipation at base level, Int’l J. Civil and Struc. Eng. - IJCSE, 1:3. - Hosseini, M. and Ghorbani Amirabad, N. (2015), Yielding-Curved-Bars and Hemisphere Core Energy Dissipating Device as the Central Support of Repairable Buildings with Seesaw Motion, Proc. of the 7th Int’l Conf. on Seismology and Earthquake Eng. (SEE-7), Tehran, Iran. - Hosseini M, Fekri M & Yekrangnia M (2016), Seismic performance of an innovative structural system having seesaw motion and columns equipped with friction dampers at base level, Int'l Journal of Design of Tall and Special Buildings, doi: 10.1002/tal.1286. 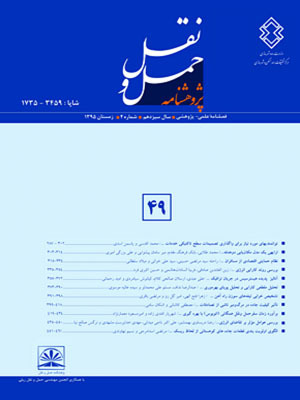 - Nejati F (2016), Using Directed-Damage Design Idea for Creation of Repairable Regular Steel Buildings Based on Seesaw Motion of the Building Structure (in Persian), Ph.D. Dissertation under supervision of Professor Mahmood Hosseini, submitted to Civil Engineering Department of the Shakheshpajouh Research Institute, Isfahan, Iran.